Sending a child off to college is a big change. It’s a good idea to update your insurance policies so you have the correct coverage in case of unexpected accidents or theft. 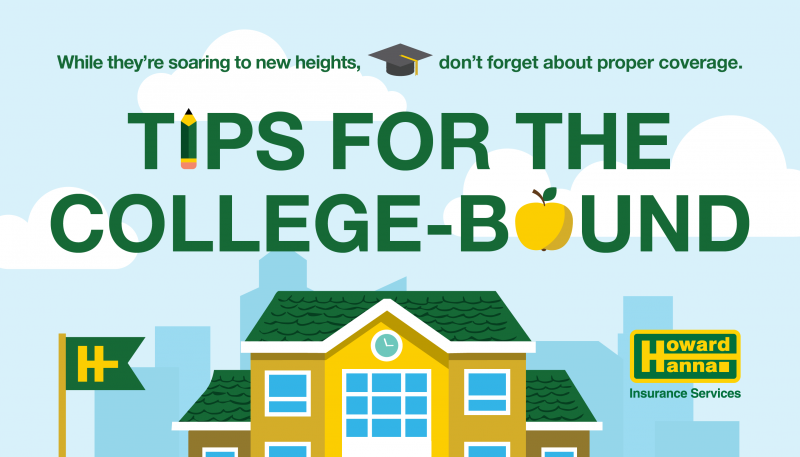 If you have a student heading away to school, below are a few tips to help you get the most out of your coverage. Car Stays Home: Keep your child listed on your auto policy if they are a) still using your address as their primary address and b) will still drive your car while at home on school breaks. Driving a Friend’s Car: Students are generally covered if they are listed on their parent’s policy and are not regularly using the vehicle. The coverage generally would be secondary. The insurance for the friend’s vehicle in most cases would be the primary coverage. Before your child leaves for school, call Howard Hanna Insurance Services at 412-696-0310 or email insurance@howardhanna.com. We can walk you through the steps to ensure you have the right coverage!